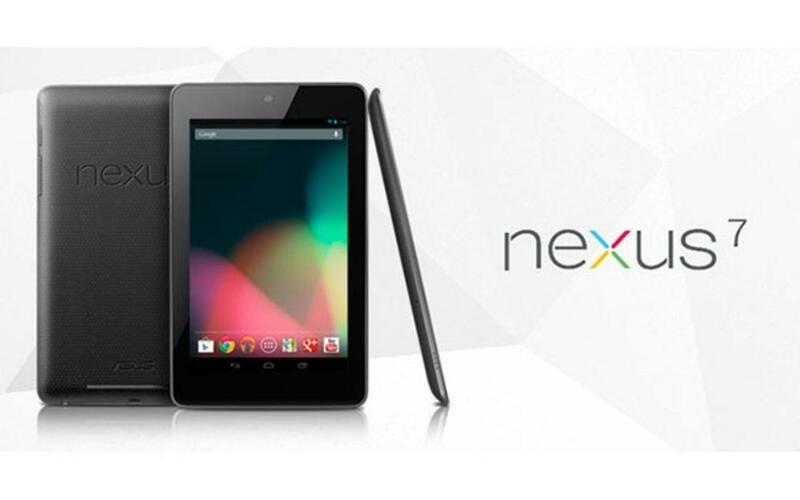 Nexus 7 is the middle-size Google tablet which its makers describe as thin, light, and portable. Manufacturers also claim that it is the tablet perfect for use on Google Play. Nexus 7 fits just right; it is not too small to see the items on the screen yet not too big to bring around. Google Nexus 10 is considered as a perfect alternative to Apple's iPad and it's a wonderful media player with the 10-inch screen. However, the same as other tablets, DVD is not supported by Nexus 10. Google Nexus Tablet comes with a 7-inch screen and supports playing videos up to 1280*800. These features make it a perfect portable media player to watch your favorite movies without using the DVD disc. As Google Nexus series has been very hot recently, many people may be wondering whether they can watch their favorite DVD movies on Nexus 7, Nexus 10 or Nexus Tablet. Though Nexus series doesn't have a DVD drive like a computer, you can still copy DVD to Nexus 7, 10 and Tablet. 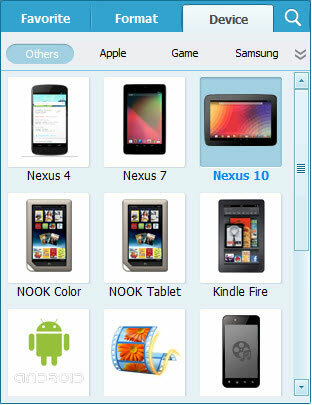 Since Aimersoft DVD converter for Nexus 7 can help you achieve that. With a few clicks, you can convert DVD to Nexus 7 (Nexus 10 and Nexus Tablet) successfully so that you can play DVD on Nexus tablets anywhere anytime. And if you want to rip your DVD videos to other formats, it can also satisfy you since it can convert DVD movies to many other popular video formats like MOV, MKV, FLV, AVI, WMV, etc. What's more, you can use this DVD converter to crop the black bars, add special video effects, split or merge video, etc. And the conversion speed is very fast. Don't hesitate any more. With it, you can make your videos more interesting. If you're using a Mac, simply turn to Aimersoft Video Converter Ultimate for Mac, which allows you to transfer DVD to Google Nexus 7 on Mac OS X (including 10.9 Mavericks and 10.8 Mountain Lion). Now download the right version and follow the tips below to finish your task. This quick start guide takes DVD Converter Windows version (Including Windows 8) screenshots as an example. The method to convert DVD movies to Nexus Tablet is the same. All that you should take care is to download the right version according to your situation. Launch the program and click Load DVD: Load DVD Folder, Load ISO Files or Load IFO files to import the DVD movies you want to rip. As you see, all added files will be listed below and you can preview them, take snapshots, choose subtitle and audio track, etc. as you like. To edit your movies before conversion, please click Edit to perform video editing like trimming, cropping, rotating, adding watermarks, inserting subtitles and more. Next, select a proper output video format. Luckily, this DVD converter provides the video profile for Nexus 7 and 10 so you don't need to be bothered by what format to set as the output file format. By choosing Nexus 10, you'll convert your DVD movies to videos with optimized settings to fit Google Nexus 10. After all necessary settings, simply click the big Convert button to start converting the added DVD files to Nexus 7 compatible videos. Wait for the conversion to complete and click Open Folder to get the converted videos instantly. After that, transfer them to your Nexus 7 tablet and watch them anywhere you go. Just enjoy your movies! The guide below uses the DVD converter Mac version's screenshots. The way to rip videos from DVD for Nexus 7, 10 on Windows (Windows 8)is the same. You just need to make sure you get the right version according to your needs. Insert the DVD disc to your Mac's hard drive and click "+" on the software primary window to select and import DVD files to this program. Besides DVD disc, you can also load files from ISO, IFO and DVD folder. All imported files can be previewed in the right viewing window as you can see from the picture. MP4 is suitable for the Nexus Tablet. So select MP4 as the output video format. If you want to change your video encoder, resolution, frame rate, just click "setting", then you can adjust them as you want. When all these are ready, just click the Convert button on the right to rip DVD to Nexus 7, Nexus 10 and Nexus Tablet. This process will take several minutes, if you don't want to wait, you can choose to "Shutdown computer when conversion completed". When the conversion is accomplished, your computer will be turned off automatically. 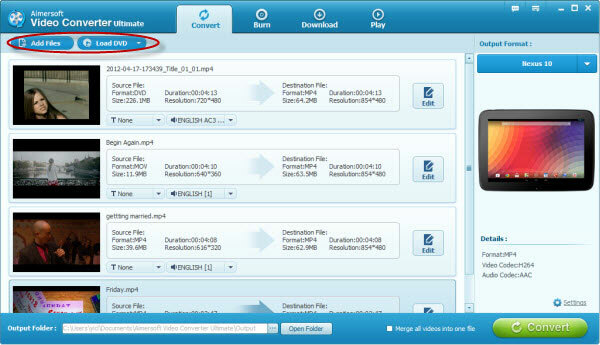 You can click "Find Target" to locate the output videos once the conversion is finished. Then you can save the videos to your tablet with a USB and now you can view DVD movies on Nexus 7 / Neus 10 on the go. 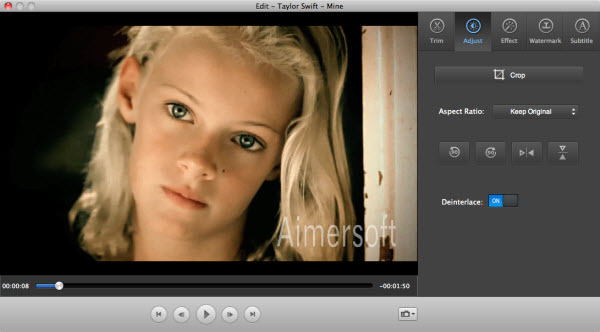 Aimersoft DVD conevrter for Mac will be your best choice to rip DVD videos to Nexus tablets. 4,172,369 people have downloaded it. Hi, you can set a higher resolution in the Settings option if the default picture is not big enough. And about the scale problem, please make sure you have tick the "Auto-rotate screen" option in your Nexus Display Settings. It works and all, but the picture is too small and does not scale when I rotate my Nexus 7. Sure, you can choose Surface supported MP4, AVI, etc. as the output format. Can I rip DVD to my new Microsoft Surface Pro? Thanks! I recently purchased a new tablet the other day and was looking for a simple way to convert DVD to Nexus 7 format so I can hang around my pool and watch the video. The step-by-step image tutorials really help tie everything together so even a noob like me could figure it out! That's just great! Now I can watch any DVD movies on my new Nexus 7 anywhere I like and no need to sit in front of the old DVD player all day long just for viewing movies.